James Hudson Taylor, founder of the China Inland Mission, was a man passionately driven to seeking God's will on earth. He is best known for the drastic difference he made in evangelizing China and founding the China Inland Mission. Hudson converted thousands of Chinese and even today CIM continues to follow his example. Born to James and Amelia Taylor on May 21st, 1832, he would always be called by his middle name, Hudson. He was raised in Barnsley, Yorkshire, England with his two sisters Louisa and Amelia. Their father was a chemist and a Methodist preacher. As a child Hudson helped in his father's chemist shop and gained some experience in banking. As a teenager he began to doubt whether he actually believed in God. Only after much thought and seeking did he turn to God and find his peace. In 1849 Hudson Taylorfinally made up his mind about the direction God had for his life. He was called to China. Missionaries were scarce in China in those days, and the culture had always fascinated him. In order to be a useful missionary he stopped using items that made his life more comfortable than it would be in China. In 1851 Hudson moved in with a friend, Dr. William Hardey, and spent much of his free time on the streets with the poor. He familiarized himself with mission work by listening to speeches and reading as much material about the field as he could. Not much later he moved to London to further his studies at the Royal Academy of Surgeons. Before he was finished with his studies there, the Chinese Evangelization Society offered him an opportunity to do mission work in China for them. This was impossible to pass up, and Hudson gratefully accepted. Hudson Taylor set off for China by boat on September 19th, 1853 and did not reach Shanghai until March 4th, 1854. Not long after he arrived, civil disputes broke out in China, and a terrible war began. The war raged in close proximity to Hudson as Taiping rebel forces and the imperial army fought bitterly. Many times the battles were just beyond his house, and he would watch as devastation erupted. This war provided many opportunities to care for the dying and wounded. 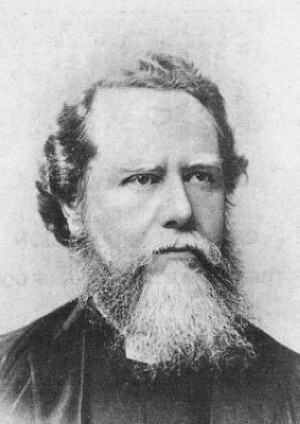 Most days Hudson Taylor and Joseph Edkins, a fellow missionary, would travel in boats to evangelize and hand out tracts in villages. Hudson and Edkins were often not warmly welcomed by remote villages because of their foreign appearance. For this reason, and out of respect for their culture, Hudson adopted a Chinese wardrobe. He even began to style his hair in a Chinese fashion, a practice he maintained for the rest of his life. Preaching then became much easier for the two missionaries. While living in Ningbo, China in 1857, Hudson decided to leave the Chinese Evangelization Society. He could no longer keep ties with them for several reasons, among which was the fact that he could not properly support himself. Hudson, fellow co-worker John Jones, and four other men began an evangelizing work of their own in China. The next year Hudson Taylor was married to Maria Jane Dyer. The two had been in love for quite a few years, but their relationship was hindered by Maria's guardian, Miss Aldersley. Maria had been a teacher at Miss Aldersley' school and a missionary in China for some years. However, Hudson and Maria had the blessings of so many people that they made the difficult decision to override a friend's judgment. After working without stop for years, Hudson and Maria left China with their daughter Grace to take furlough in England in 1860. While in England he used his time wisely by finishing his studies at medical school and building support for his work in China. He traveled all over England and parts of Europe spreading the word of the evangelical work in China, hoping to find some interested in going. He soon saw how necessary it was that he begin a new organization in China, and in 1865 he and William Berger founded the China Inland mission (CIM). Much time and prayer was put into this delicate new mission. Hudson Taylor was always wary of presumption; he would do nothing without God's approval. When CIM began, he prayed specifically for twenty-four volunteer missionaries to come back to China with him. In a short time God fulfilled his prayer precisely, and twenty-four missionaries were selected from the throng. In 1866, Hudson Taylor and his family, now consisting of four children, set off for China once again. With the Taylor's was the Lammuirer party—sixteen new missionaries. Through many a storm the group of Christians made it safely to China. Hudson Taylor and his large group of followers made a frightening impression on the English missionaries already there. Members of the LMS and the CEM were stricken by the fact that they all wore Chinese clothing. Hudson stood firm in what he believed and did not waver in the least. The missionaries settled in on New Lane and began evangelizing. Hudson established a routine that brought them down the Grand Canal of China to the city of Hangzhou, where they would care for the desperate and speak the Gospel. Hudson had a medical degree and was able to heal great numbers that flocked for help. He was able to use these visits as opportunities for the Gospel, which attracted more people. In 1868 heated rumors concerning the missionaries filled the streets of Yangzhou. Offensive posters covered city walls. An angry mob began to form outside the gates of the house in Yangzhou, and the numbers grew from eight to ten thousand in a few days. When they could contain it no longer, the mob rioted and swarmed the house. After looting, wrecking and attempting to burn the house, the mob left, and the missionaries suffered only injuries, no deaths. In the following year Hudson lost his dear wife, Maria, to cholera. This took a great deal of strength, but he accepted what happened as an obstacle from God. In 1871 Hudson was advised to take a break in England, where he became further acquainted with an old friend, Jennie Faulding. While in England Hudson and Jennie were married. Hudson strenuously worked while in England giving speeches and seeking eighteen more missionaries for China. For over twenty more years he remained in China. His work expanded immensely as he plotted out specific plans for the evangelization of the country. Many of the missionaries he had worked alongside perished from illnesses. The worst tragedy China Inland Mission would see was the Boxer Rebellion. CIM lost fifty-eight adults and twenty-one children in the horror of the Boxer Rebellion. The CIM suffered loss more than any other mission work in China at that time. Hudson paid a great price with his health because of his work there. The severe weather and foreign diseases had worn him out. Hudson Taylor worked in service to his Lord for many years in China, beginning one the largest and most successful evangelizing organizations in China. After a total breakdown and swift decline in health, Hudson retired with Jennie in Switzerland. Even in retirement he was well known in his area for his simple kindness and generosity. In 1905 Hudson Taylor returned to China for the last time. He died suddenly while reading on June 3rd, 1905, two years after his wife Jennie had died of cancer. Hudson was buried next to his first wife, Maria, in Zhenjiang next to the Yangtze River. Hudson Taylor had accomplished bringing over 800 missionaries to China and began up to 125 schools. This work consequently converted 18,000 Chinese citizens, and the number continues to grow. China Inland Mission, now known as OMF International, carries on the work Hudson began to this day and proudly upholds the standards he valued. Only by the grace of God would a man risk and lose so much for God's will on earth. Hudson often said he wished to be an example of what great things God can do through very small people. There is no doubt that is exactly what Hudson Taylor was.